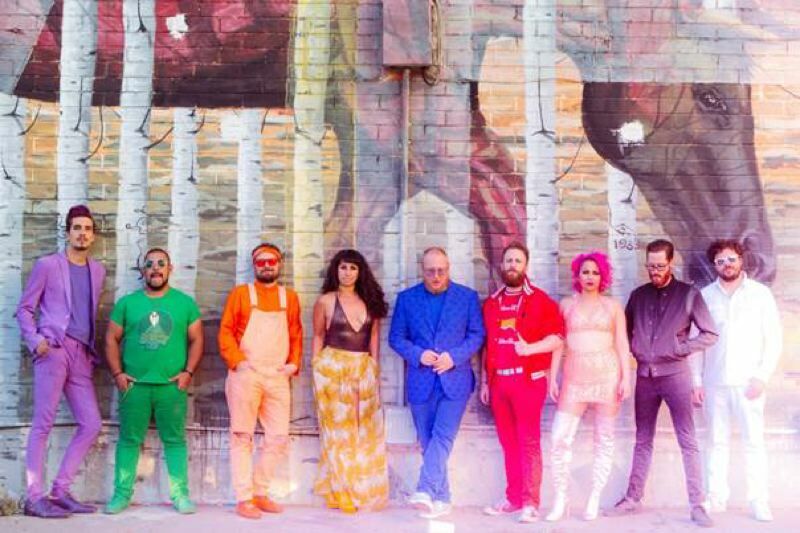 • Brooklyn-based nine-piece outfit Turkuaz is a kaleidoscope of colors, sounds and personality, singing funk, alternative, rock, R&B and psychedelia, punctuated by deft musicality and show-stopping sing-alongs as featured on the album "Life in the City." They perform at Wonder Balloom, 128 N.E. Russell St., 8 p.m. Friday, Feb. 8. Tickets: $22-$24, www.wonderballroom.com. • Americana music takes the stage at Alberta Rose Theatre, 3000 N.E. Alberta St., with performances by Elizabeth Cook, Chris Shiflett and Kendall Marvel, 8 p.m. Friday, Feb. 8. Tickets: $18, $22 at door, www.albertarosetheatre.com. Cook is from Nashville, Shiflett is the Foo Fighters' guitarist, and Marvel has written songs recorded by George Strait and others. • Dark Star Orchestra, the preeminent Grateful Dead tribute act, performs at Roseland Theater, 8 N.W. Sixth Ave., 8 p.m. Friday-Saturday, Feb. 8-9. Tickets: $29.50, $45, www.roselandpdx.com. • Emmet Cahill stars as the award-winning tenor and lead singer with the acclaimed Irish music group Celtic Thunder. He'll present a solo concert at 7:30 p.m. Saturday, Feb. 9, at First Unitarian Church, 1211 S.W. Main St. His No. 1 World Music Album is "Emmet Cahill's Ireland," which offers a traditional Irish repertoire. Tickets: $30, www.emmetcahill.com. • Conducted by Carlos Kalmar, the Oregon Symphony plays Dvorak's "Symphony No. 8," as well as Profokiev's "Symphony No. 1/Classical" and Khachaturian's "Violin Concerto." Violinist Simone Lamsma joins the symphony, 7:30 p.m. Saturday, Feb. 9, 2 p.m. Sunday, Feb. 10, and 7:30 p.m. Monday, Feb. 11, at Arlene Schnitzer Concert Hall, 1037 S.W. Broadway. Tickets: starting at $24, www.orsymphony.org. • Guitarist/vocalist Steve Gunn has collaborated with such diverse artists as Mike Cooper, Kurt Vile and Michael Chapman. He performs at the Aladdin Theater, 3017 S.E. Milwaukie Ave., 8 p.m. Tuesday, Feb. 12. Tickets: $18-$20, www.aladdin-theater.com. His fourth album is "The Unseen In Between." Wiz Khalifa and Curren$y play Roseland Theater, Feb. 10, but it's sold out. • Valentine's Day, Thursday, Feb. 14, is a big day for lovers — and Portland welcomes Smokey Robinson to sing with the Oregon Symphony at 7:30 p.m. at the Arlene Schnitzer Concert Hall, 1037 S.W. Broadway. He'll sing such classics as "The Tracks of My Tears," "Ooo Baby Baby" and "You've Really Got a Hold on Me." Tickets: starting at $35, www.orsymphony.org.